Without a doubt there is a small group of publishers who might have some email subscribers for whom the once a month schedule works great. But what about everybody else? How Often Should You Send To Your Email List? The truth is, you need to determine the best schedule for your subscribers yourself, and you will even find — depending on your topic and market — that your schedule should vary over time. This is true because of the following external reasons. And there are really more influence factors. That said, I have learned once a month is usually not enough to keep your email list members engaged with you. Excellent e-mail marketing is about building a relationship, starting a dialog. If you publish your email newsletter once a month only, you are leaving a lot of opportunity on the table. The main motivation for every single e-mail you send to your email list must be to provide value and to help. How much of help is it to send news that might be old already when you send it out once a month? Do you really only want to help your members and customers once a month only? Good email marketing creates a connection on the personal level between the author, who represents your brand, and the reader. Here are a few ideas for subjects your member will want to hear about more frequently. Make it a mix, make it educating as well as entertaining. You will see more response from this type of newsletter, when your message is more than just the dry facts about topic X, Y, or Z. Actually you can sign up to my newsletter at the top of the page to learn more about the subject. P.S. : Now, what do you think? How often is too often and how few is too few? Leave a comment below. 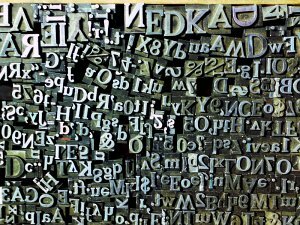 Image source: “Lead Type (melting in the oven of your mind)”, ©2007 by jm3/flickr. - Some rights reserved. - CC BY-SA 2.0.